Have you ever wanted to run a storefront, but taken a look at the work it requires to successfully run one and decided “nope! That’s way too much work for me.”? At some point, virtually every entrepreneur considers a store, and many do indeed move on to other things. Dropshipping is one way to avoid most of this issue. You still have to put in some work, but it’s less than you have to if you’re running a store yourself. Think about the issues you encounter with a store. You have to make ties with a manufacturer and pay them to create your items. Or, in the case of a reseller, you have to order the items from the original manufacturer. Some companies only sell to resellers, while you’ll have to compete with the original manufacturer for others. You have to have items shipped to your location to store. If you’re dealing with large volumes, you either have to have a lot of storage space around your home, or you have to rent a storage facility of some kind. Depending on the product, that can be anything from a self-storage box to a climate-controlled warehouse. Quite the expense! You also have to handle quality control, order fulfillment, shipping out your items, dealing with customer service in the case of the myriad problems that can occur during this process, and all the financial aspects of running a business. Bearing in mind that many businesses are not profitable for years after they’re founded. If you have ambitions that go beyond running a business, you immediately recognize that all of this will take up either an incredible amount of time as you do all of the work yourself, or an incredible amount of money as you pay for employees to do it all for you. Finding the right balance there is a huge part of the struggle many business owners face, but we’re going to bypass all of it. 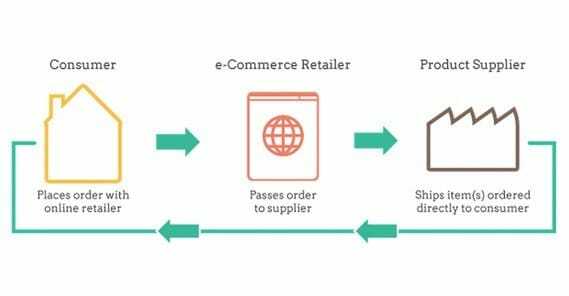 Dropshipping is a lot like affiliate marketing, which you may already be familiar with. It’s a little different in one key way, though. With dropshipping, you reach out and make a contract with the manufacturer of a product. You tell them you’ll refer sales to them, so long as they let you sell through your website. You make a website with a storefront that sells that item, then. People go to your site and see the item for sale and choose to buy it. They believe they’re buying from you. In reality, you’re forwarding the order on to the original manufacturer, who then does all the work. They fulfill the order, they are the contact for support, they do the shipping; all you do is pull in the profits. This begs two questions. Why would anyone buy from you rather than the original manufacturer, and what do you get out of all of this? The second question is easiest to answer. You get money. Say you’re selling a widget that costs $10 to buy from the original manufacturer. You sell it for $12 on your site. Now every time someone buys one, you make $2. You don’t have to spend that $2 on anything more than web hosting costs, unlike a business owner, who has to put a lot of money into running their business. Conversely, you might wonder what the manufacturer gets out of it. Why would they want to sell through you when they can sell directly, if they’re already doing all of the work? The answer is, they’re not doing all of the work. You’re handling one very important aspect they simply don’t want to deal with; advertising. You’re going out and making sales, and you’re allowed to price as you see fit as a reward. It’s like affiliate marketing in this way, except you’re not just limited to a cut. So why would anyone buy from you if they can buy from the manufacturer directly for cheap? Two reasons. The first is that they find you when they might not find the manufacturer. You’re the one pushing the advertising; the manufacturer is likely going to be difficult to find and might not even have an online buy page. In many cases, finding a dropshipping supplier is going to be difficult simply because of how little they care about an online presence. In some cases, the manufacturer simply won’t sell to anyone individually. They’ll only handle orders of a sufficient size, and no one wants to buy 10,000 keychains. You as a seller will tend to batch your orders or, if you have a deal made with the manufacturer, simply guarantee X number of orders a month. So, with dropshipping, you end up making money selling products, but skip 90% of the work involved with actually selling products. All you need to do is make a website, advertise it, actually make sales, and make sure your order processing is secure. Everything else is handled by the manufacturer. The tradeoff for this is that you don’t make quite as much money per sale as you might otherwise. There’s still one big area of work you need to do, and that’s setting up the site you’re using to sell these products. Or do you? Why not figure out a way to outsource that work as well? Think about it; what are the two biggest retail outlets online? Amazon and ebay. Why would you want to compete with them, when you know you’re never going to outrank them and you’re never going to do what they do better than they do it. I’m sure one day a serious competitor to Amazon will pop up, but that’s the kind of thing founded by a billionaire, not a small scale entrepreneur. If you can’t beat them, join them. Why not just sell through Amazon and eBay? There are a few pros and cons. On the pro side, you have this massive site with a ton of SEO value already set up to optimize selling. You can list an item and sell it through Amazon or eBay and they’re already doing all the work of establishing a secure payment system, upselling related items, handling order fulfillment, and all the rest. You still have to do some marketing, since Amazon isn’t going to go out of their way to promote your items, but it’s minimal compared to what you otherwise might have to do. 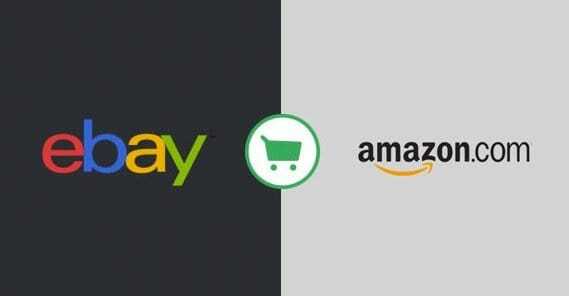 Amazon and eBay both are trusted names, far more so than whatever small site you might build. You are also able to take advantage of both the Amazon and eBay affiliate programs for your own items. 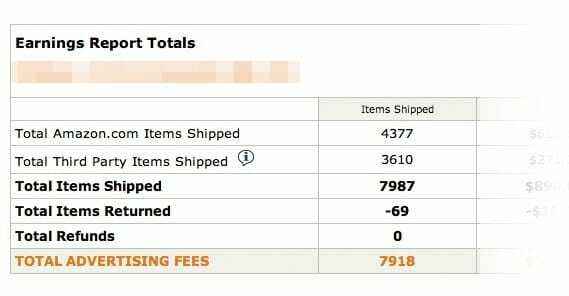 Amazon has nothing against earning a commission on your own sales. That means you can layer affiliate marketing on top of dropshipping, and take a cut of your own sales paid by Amazon, effectively increasing your potential profits by a percentage. You’ll have to set up an affiliate site pointing at your links on Amazon or eBay, but it can work quite well once you get it rolling. There are a few downsides, however. When you’re not selling through your own site, you lose some benefits of building that site. 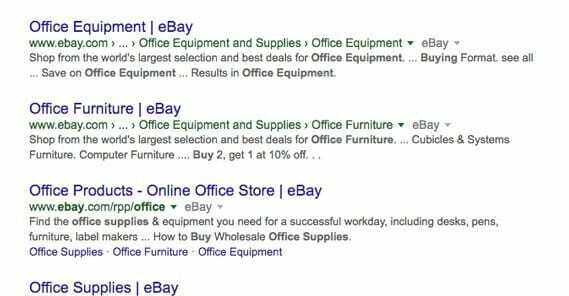 For one thing, you may need to pay to list some items, particularly on eBay. You never have to pay to list items on your own site, at least not beyond the standard costs of operating a site, which are quite minimal these days. You also can’t customize the platform you’re using to sell. Amazon and eBay listings are mostly informational, so you can’t dazzle users with graphic design. Perhaps the largest drawback to this method is that you can’t build a community around your site. You aren’t building a mailing list while you sell, you aren’t running a blog next to the storefront, and you don’t control the site at all. All of the brand building is beneficial to Amazon or eBay, not to you. You’re also not building up the value of a site you own that you could sell later, though that’s rarely a concern for most dropshippers. You do also have to worry about competition on those sites as well. Anyone can make a dropshipping contract with the manufacturer, and anyone can list that item on Amazon or eBay the same way you can. Amazon doesn’t care, and the manufacturer doesn’t care. If someone with a larger budget for advertising undercuts you to a degree that you can’t compete with, you’re simply going to take the loss. You’ll have to figure out how to get past it and survive the competition, or somehow compete despite the lower prices. On top of all of that, you do still have to do some work. 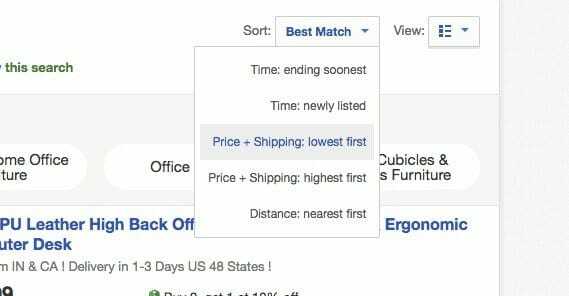 You have to create your listings and, in the case of eBay, monitor them and relist items as necessary to keep a high position in search. Or do you? You can take things one step further and hire a virtual assistant to do a lot of this work for you. Once you have them trained, have an information funnel set up, and have the process established, you are largely hands-free. The ideal situation for the virtual assistant is giving them the power to create and edit your listings, but not make purchasing actions. You don’t want someone you don’t know, trust, or have legal control over making purchasing choices with your financial information. That just opens you up to all sorts of problems. What you do, then, is go out and set up deals with manufacturers for dropshipping products. You funnel the information – possibly created by a talented copywriter, if you don’t want to do the writing or don’t trust your VA to do more than just copy and paste – to your assistant. They create listings and you go out and promote them. How do you promote them? That’s up to you. You can make an affiliate blog, or just a normal blog, or even a storefront on the side and sell in both ways. You can run paid advertising. You can post in communities and build a social media presence. There are all sorts of options. When an order comes in, Amazon or eBay handle the financial end of things, while the order information goes to the manufacturer, who handles the fulfillment. You get paid, and don’t have to do any of the work once the whole thing is set up and running. All you have to do is spend your time and money on making more connections, to sell more products, to make more money. At any time, someone could come in and undercut you, demolishing your profits. At any time, the manufacturer might decide to sever your relationship, forcing you to stop those listings. You don’t make much money from this method; your already low profits above the manufacturer price are eroded by the Amazon and eBay fees. You need a lot of volume and a lot of different products to make a decent amount of money, so you’re constantly going to be working to expand your product base. The end result, though, is that you have a broad foundation for passive income. It will be constantly in flux, as different products wax and wane, as manufacturers come and go, and as competition rises. However, once you have a process established, it’s quite easy to make new deals, forward the relevant information to your copywriters, forward their work to your VA, and add new products to your listing. All you have to worry about is the advertising. You’re left with a largely hands-free operation making you money. Is outsourced dropshipping for everyone? No, of course not. It has some pretty steep setup costs, particularly in terms of time, and it does require you to be a personable and sales-oriented individual when working with manufacturers. However, if you can pull it off, you can have quite a nice passive stream of income. Just don’t go all in and hope it works out without a few trials.